BOONE COUNTY - MoDOT discussed changes it will make to the intersection of Route H and Highway 63 at a public forum at the Lenoir Community Center in Columbia Tuesday. More than 100 people packed the conference room at to get a glimpse at the construction plans. MoDOT staff members answered questions and addressed Boone County residents concerned about the impact the plan could have on their commutes, traffic and how exactly the plan would be carried out. Residents walked away with MoDOT literature with an outline of the plan and maps of the affected areas. There were also comment forms provided for the concerned citizens to leave feedback about the new interchange. MoDOT decided to reconstruct the intersection out of a concern for motorist safety. Now, drivers must cross the highway, dodging fast-moving traffic. The new construction will include an overpass, giving drivers a safer way to by-bass those vehicles. There will also be two roundabouts added to the area-one on each side of the north and southbound highways. The southbound lane will become an outer road and MoDOT will create a new southbound lane in the current median between the two. Boone County resident Ann Anderson went to the meeting to express her excitement for the new construction to begin. "When we first built our house out there 30 years ago, they told us the Department of Transportation was going to build an overpass in five years. Here it is 30 years later and we're finally getting it...I thought I was going to be dead before they'd ever get it done," she said. Construction is set to begin in late summer 2011. 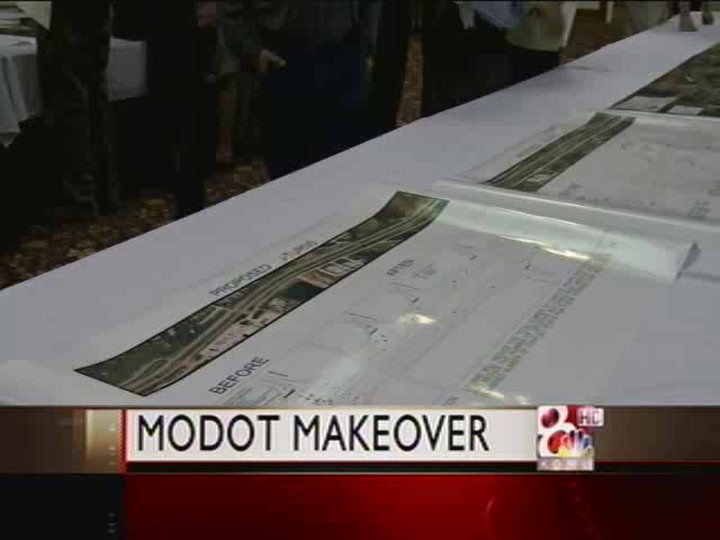 MoDOT estimates the construction to be complete in 2013. MoDOT Project Manager Nicole Kolb Hood says drivers shouldn't expect delays because neither the northbound nor southbound lanes will be closed.